BFit Bootcamp is the best strength and conditioning program there is. It is a high intensity, 60 minute interval workout that incorporates elements of cardio, strength training and core abs. Come train with the best. 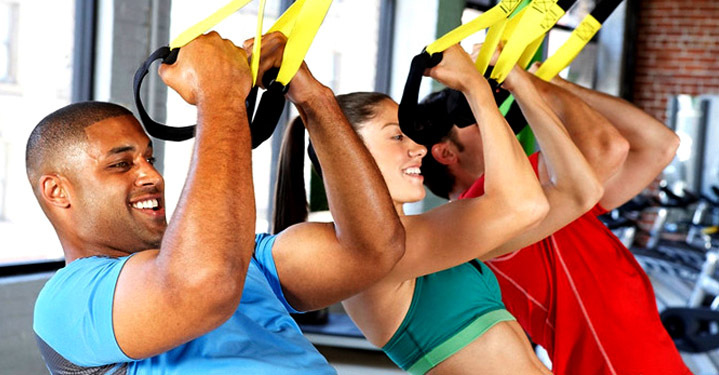 We offer personalized training for those interested in a more hands on and individualized fitness plan. Our Elite Pros can help you create a plan to maximize your time in the gym and get results. BFit Atlanta will help you get the body you want, the health you crave and the life you were meant to have. All of our trainers are top in their field. Our Pros include former Olympians, world class elite professional athletes, distinguished veterans and a former world record holder. Our primary goal is to create a community committed to helping you achieve your fitness goals in a supportive and encouraging environment. Our classes bring together all the energy, motivation and contagious culture of an awesome group exercise class with the personal attention and education of an intimate personal training session. BFit Atlanta provides the highest quality equipment available, superior certified trainers and a clean and crowd-free fitness studio. Our team of experts will create a customized workout plan just for you that yields results and will help you reach your goals safely and injury free. We offer approved nutritional diet plans, apparel and fitness products in our online shop. And when you register for a Bootcamp, you receive a comprehensive fitness assessment. The early bird catches the worm. Don’t miss your opportunity to join us this month at a special rate for the best strength and conditioning program there is. Each month we offer a limited number of spaces at a special discounted rate for each time slot. These spaces sell out within hours so you want to make sure you sign up for our alerts and follow us on Facebook. Once they are gone, the price will return to the regular monthly rate until all available spaces are sold out. The VIP All Access pass allows you the most flexibility out of all the monthly Bootcamp packages. You receive full access to the monthly BFit bootcamps. With this pass, you are able to attend any of the bootcamp timeslots and as many sessions as you like during a given day. You also receive a 30 day meal plan and fitness assessment. The VIP All Access pass is designed to help you reach maximum results. Serious about making a change? This is the plan for you.